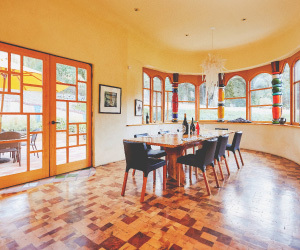 Embodying the phrase “a work of art” in every sense, from our world-class Napa Valley wines from Stags Leap to our extraordinary and eccentric architecture, we invite you to discover what makes Quixote special. A delight to your senses. We offer remarkable, intimate tour and tasting experiences, by appointment only. Come and experience for yourself Quixote’s whimsical and vibrant spirit. The essence of Quixote’s wines consists of our dedicated winemaking team staying true to the vineyard and letting the wines express the true meaning of our Stag’s Leap Appellation terroir. 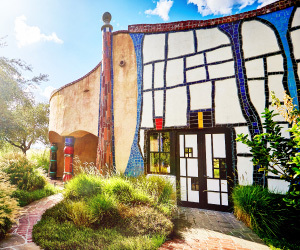 In 1989, Carl Doumani discovered the work of Friedensreich Hundertwasser, and commissioned him to design a winery to combat notions of pleasurable wine being an absurdly, all serious pursuit. 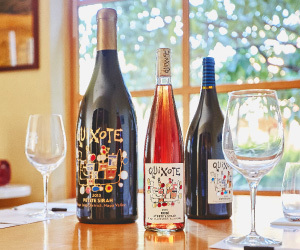 Know that you’ll have a guaranteed share of Quixote’s most distinctive wines. When you join our Membership, it is your opportunity to bring our ‘works of art’, fine wines directly to your home.